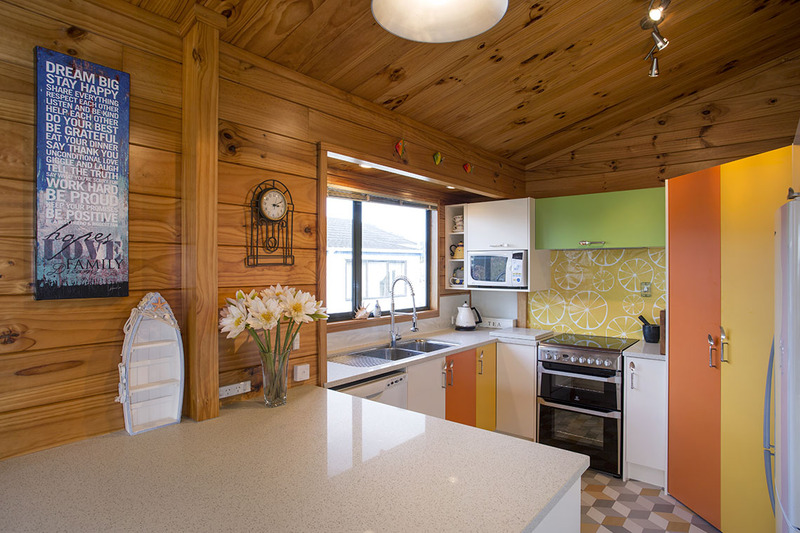 A bright and inventive new kitchen gives a nostalgic, beachy feel to this Coromandel home. 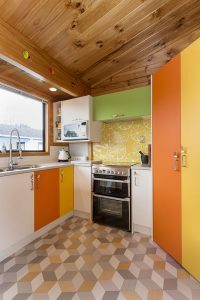 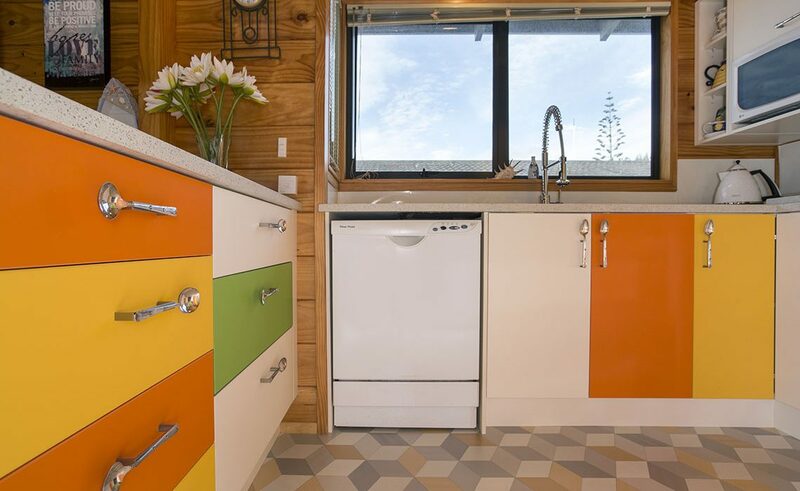 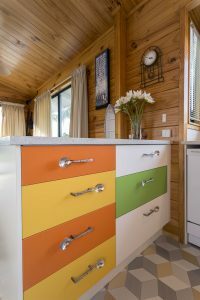 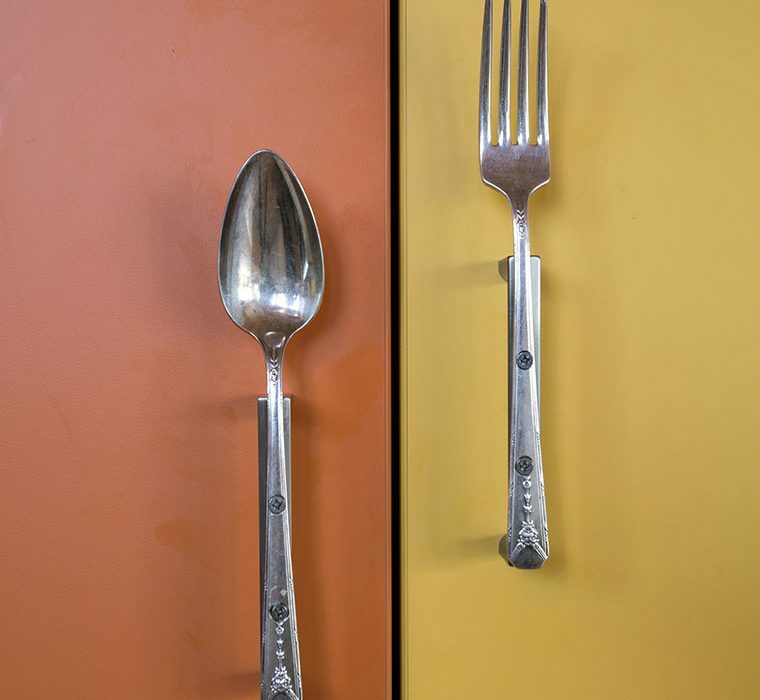 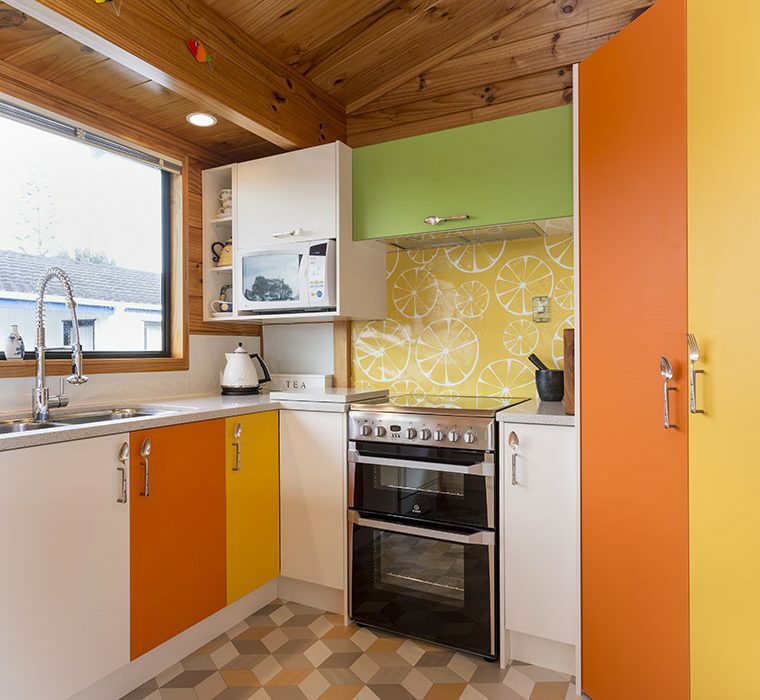 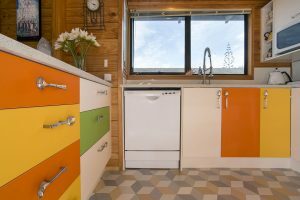 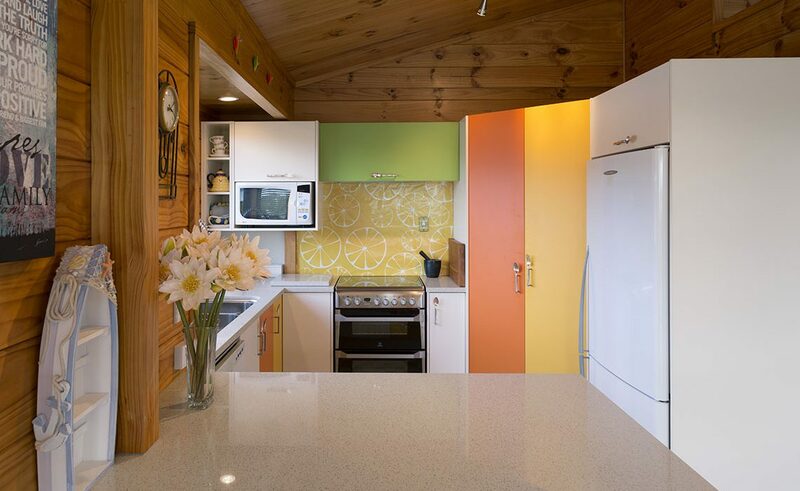 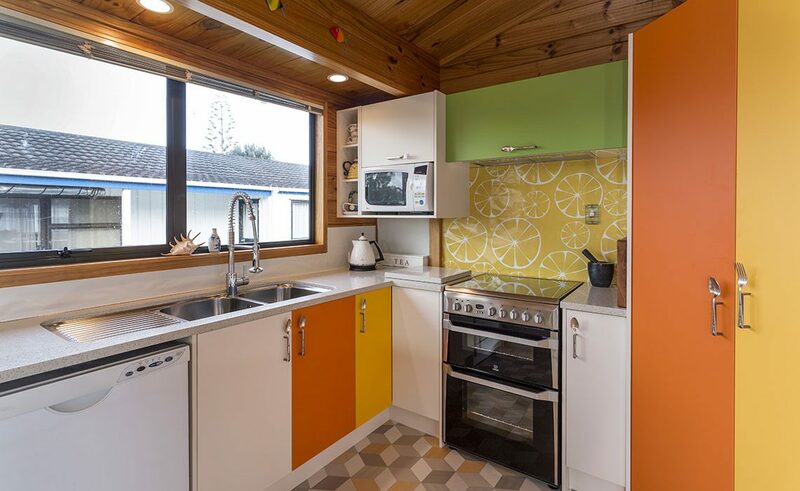 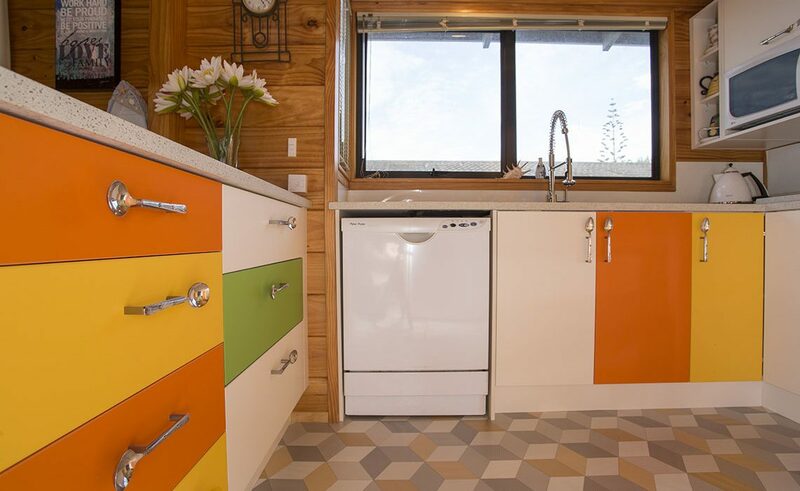 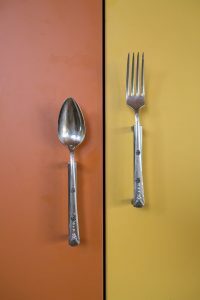 Homeowner, Sue Hooton, certainly didn’t shy away from bright colours when she and her husband Bryce decided to replace the original kitchen in their 1980s Initial Home at Cooks Beach – she had a very original idea for using old cutlery, too. The size and shape of original kitchen was the ideal configuration for the dimensions and orientation of the room, so it was kept, along with the position of all the appliances. 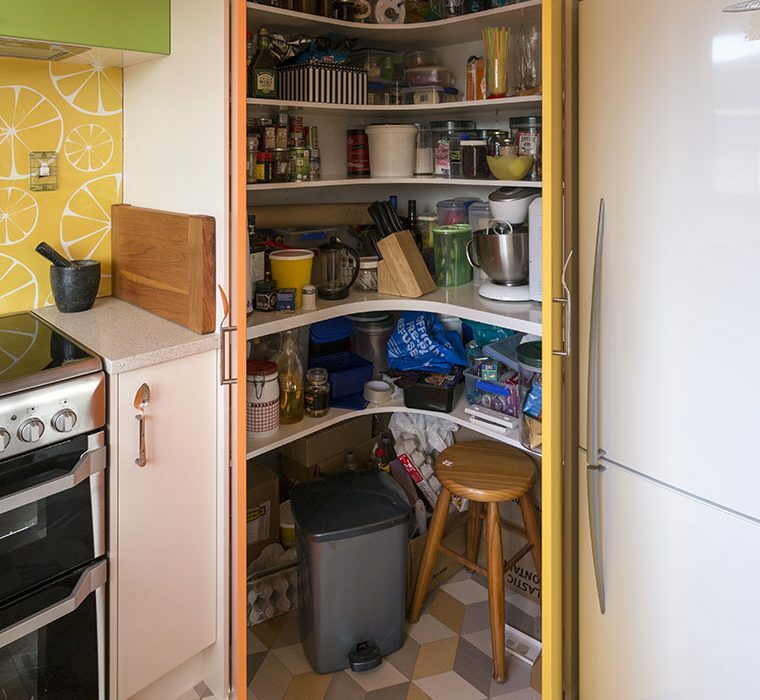 This certainly helped to keep the budget down, says Carol. 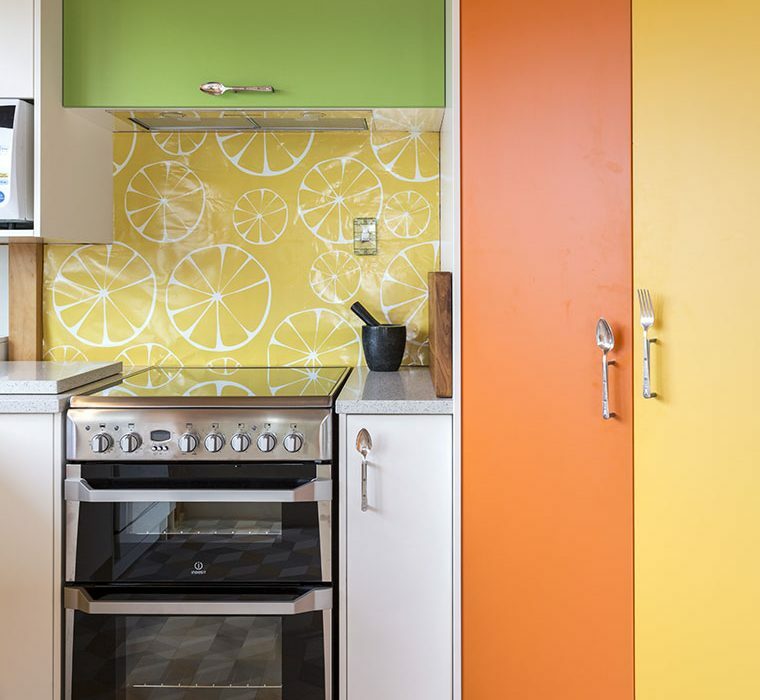 When Sue saw the swatches from the Melteca catalogue, she immediately knew the three colours she wanted for her new kitchen – Juicy (yellow), Energise (green), and Sunflower (orange), along with a neutral Antique Viluna White. 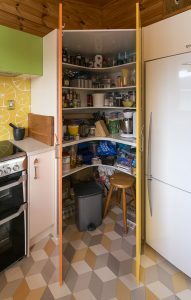 Individual cupboard and door fronts were then made up and used in a random pattern around the kitchen. 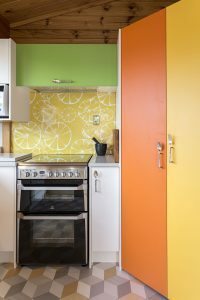 “Keeping with the colourful theme, Sue had found a placemat with a cut lemon motif she wanted to use as the pattern for her splashback. 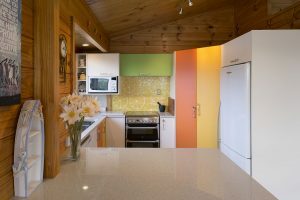 So we photographed it and enlarged it, and made it up for her on back-printed glass,” explains Carol. 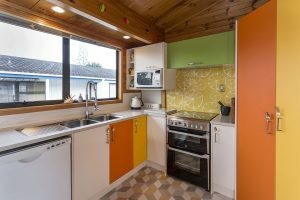 The effect, along with Sue’s choice of a retro-patterned linoleum on the floor and her spoon and fork handles, gives the new kitchen an eclectic, nostalgic edge. 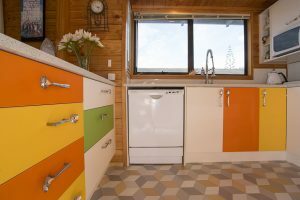 And even though it’s new, it has the relaxed look and feel that Sue was looking for. 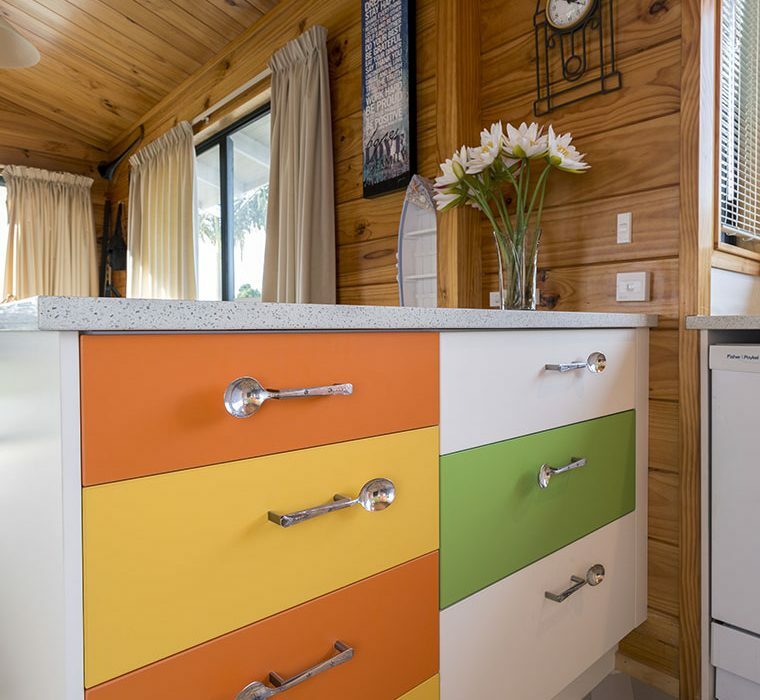 This kitchen was proudly designed, manufactured and installed locally by Mastercraft Kitchens Whitianga.